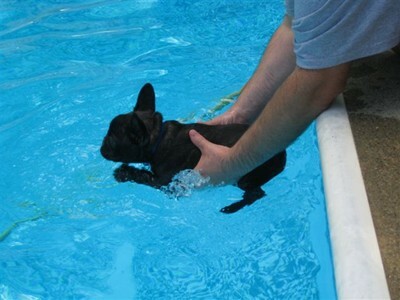 Ever hear a French Bulldog cannot swim??? Well... basically they CAN'T! 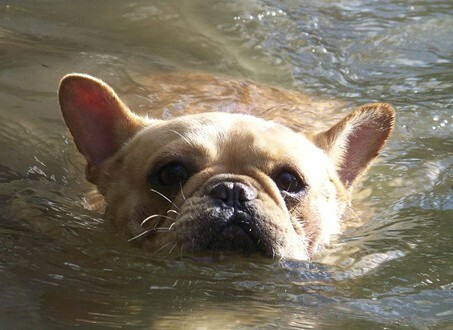 Can Frenchies swim at all? Well sure... they can swim... , but they are top heavy and those that can swim cannot swim for more than a few feet without eventually going under. 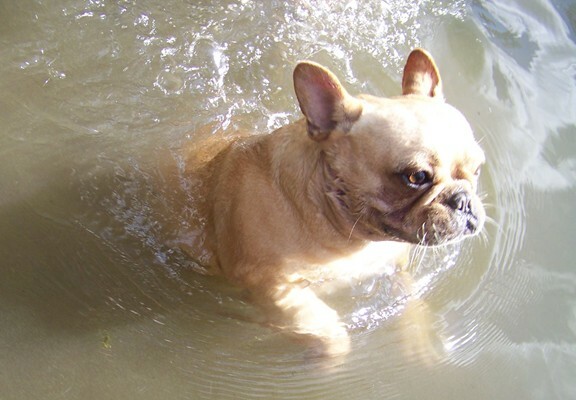 Sure you can let one go and it may swim 10 feet or a bit more, but even the most water loving, seeming like he can swim Frenchie, WILL GO UNDER. 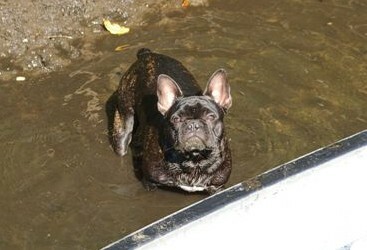 I read an article of a lady with a water loving Frenchie. 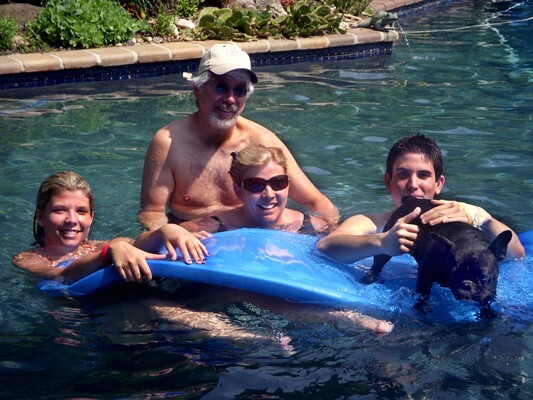 They even built a pool in their house for him with a beach like entrance so he could just walk in. 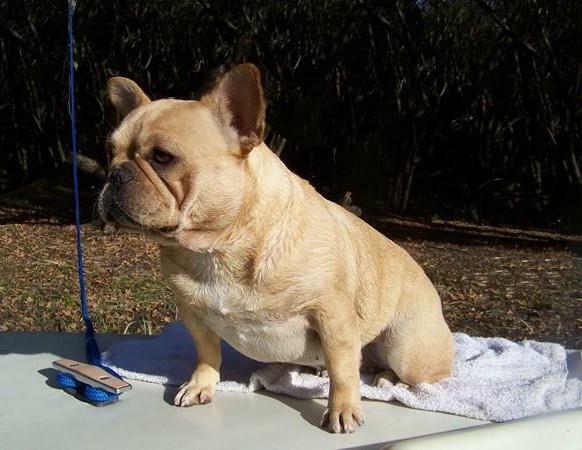 He would walk in, but he also would jump in after their Labs and she would jump in to take him out time and time again.... One day lounging by the pool with her dogs (including the Frenchie) a friend came over and she turned her head for a second to chat. 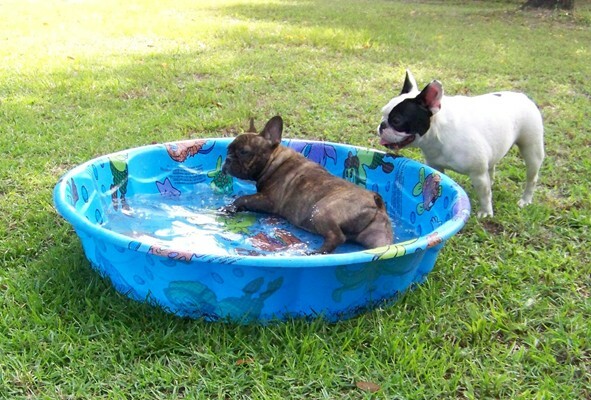 When suddenly the friend said "Your French Bulldog is in the pool". 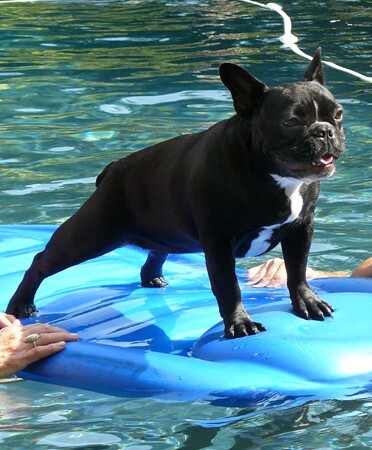 She turned to see her water loving French Bulldog laying at the bottom of the pool. Happened so fast. 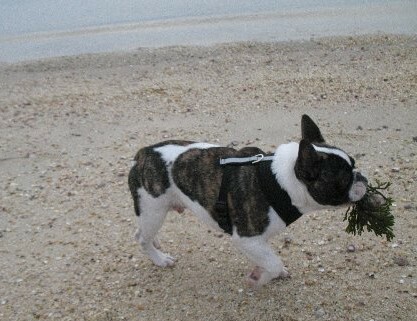 She pulled him out, he was dead. 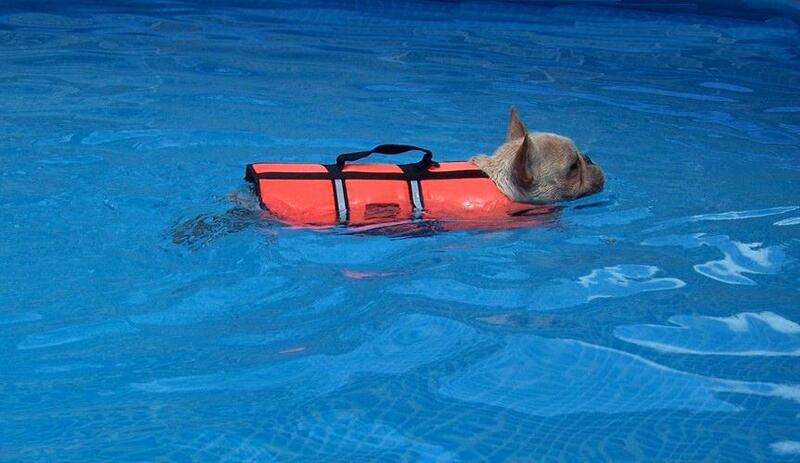 CPR done, he was gone at only 3yrs old. 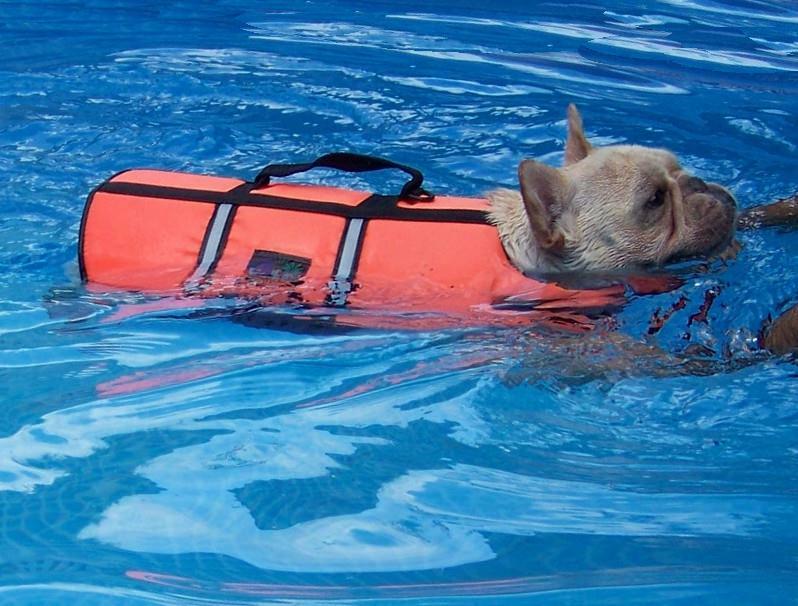 I have a few Frenchies that love water and I promise you they cannot swim longer than about 10 maybe 15 feet when they start to go down (if not wearing a life vest). 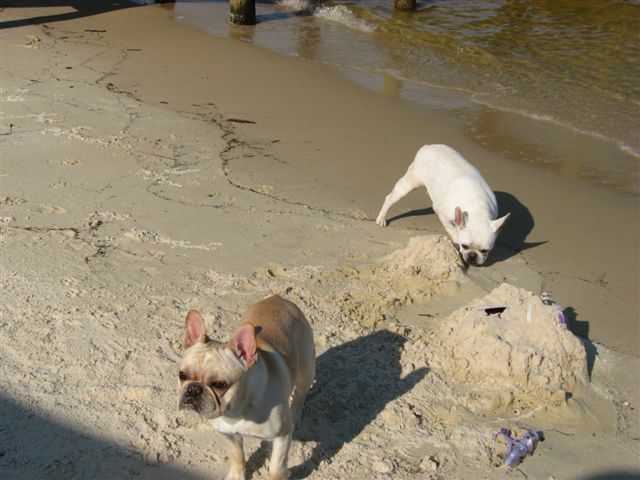 Once a Frenchie goes down THEY SINK, they absolutely CANNOT come back up like a Lab can.... With that short, flat nose they are doomed. 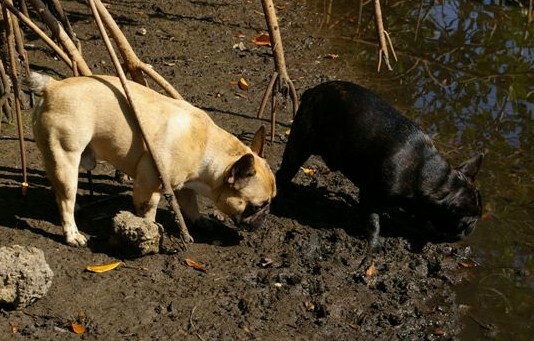 If you aren't right there to help them up they naturally cannot come up on their own. 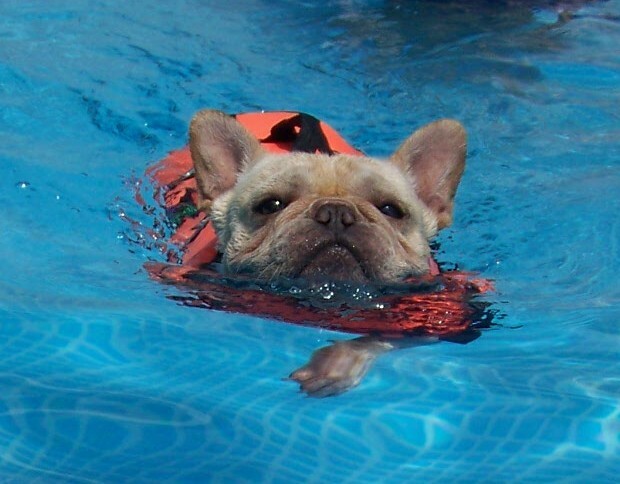 They don't have a snout to hold out and above water and their heads go down quicker than you can imagine... People say throwing a Frenchie in the water is like throwing a brick in the water... 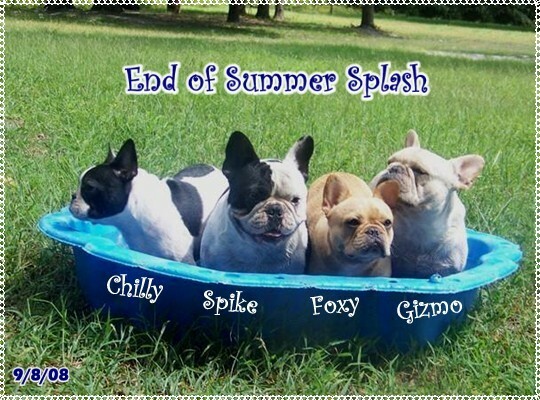 So true... they SINK, period! 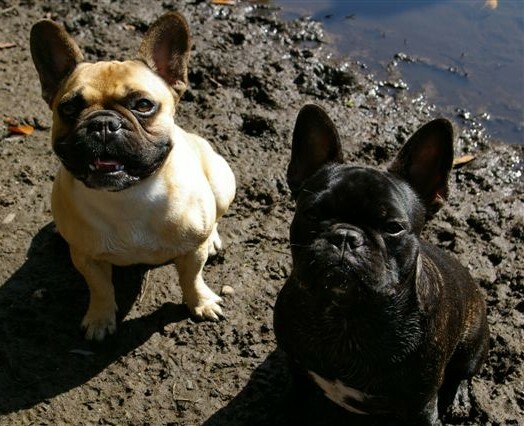 This is a page I was thinking about making for a while, I don't want to feel guilty if something happened to a Frenchie out there because their owner doesn't know. 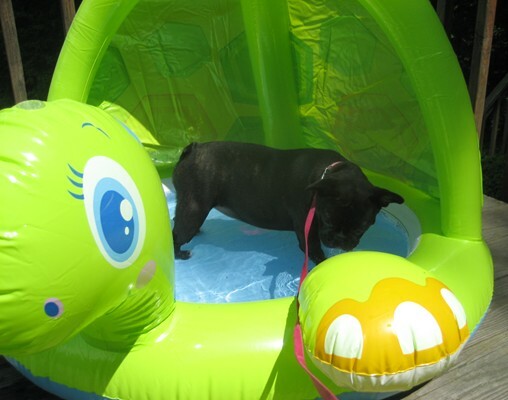 People see photos of our dogs in the water on this site and I certainly do NOT want anyone to get the wrong idea. 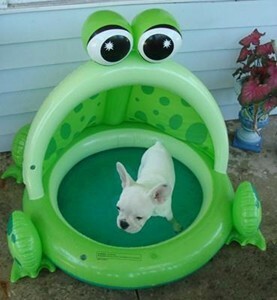 I say if anyone has a water lovin frog dog, get them a kiddie pool and forget other bodies of water lol. 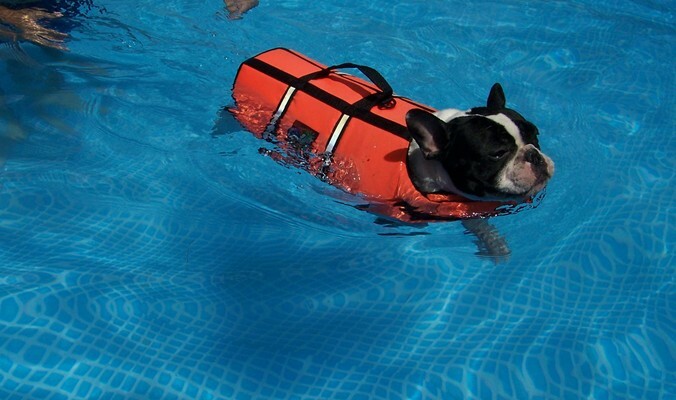 But seriously... we have taken ours boating and different places with water, with a constant eye on them, a good life vest and common sense you can have fun with *FRENCHIES and WATER*. 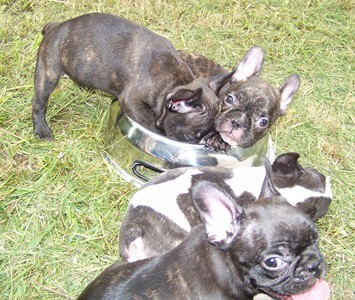 To find out why they are called Frog Dogs. 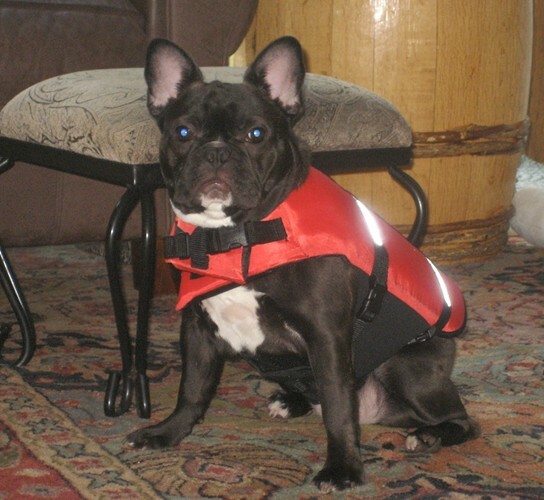 Wearing life vests or not BE CAREFUL !!! 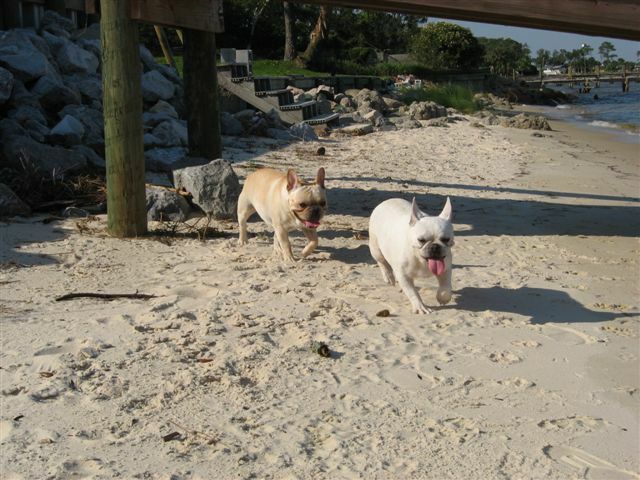 Even pregnant Frenchies enjoy getting their bellies wet. 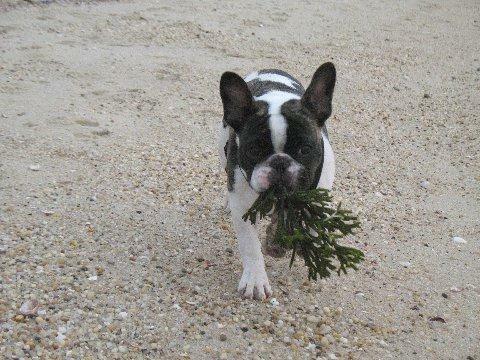 the "Frenchies & Water" ordeal!